The big day is quickly upon us. 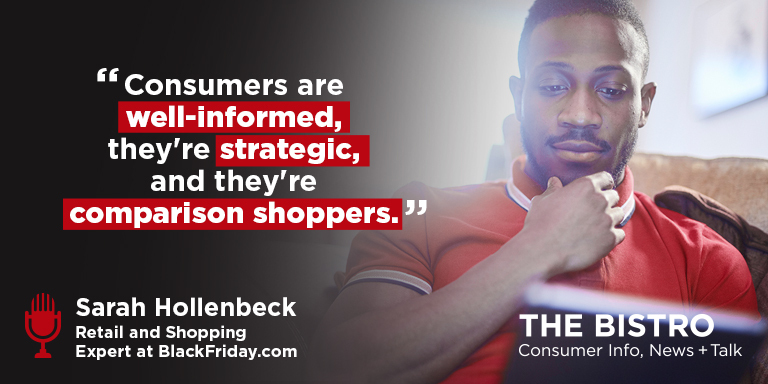 The greatest shopping event of the year is just around the corner, and Retail and Shopping Expert Sarah Hollenbeck of BlackFriday.com stops by The Bistro to discuss. She shares some great insights and tips about Black Friday to help us all become a savvy shopper this holiday season.